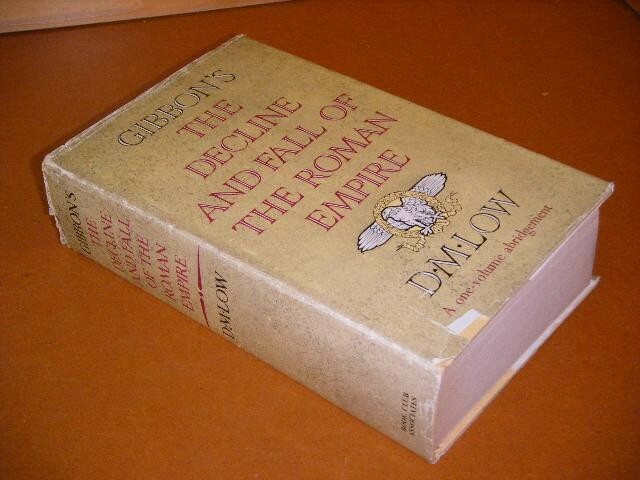 > Non-Fictie>Geschiedenis en Maatschappij>Geschiedenis>The Decline and Fall of the Roman Empire. A One-Volume Abridgement. The Decline and Fall of the Roman Empire. A One-Volume Abridgement. dustjacket shows some signs of use, some stains on frontpages, otherwise in good used condition. Text in English. An Abridgement by D.M. Low. Uitgever: London, Book Club Associates hardcover with dustjacket, 924 pag.